The AmeriCorps Utah Member of the Month for March 2019 is Cam Oda! 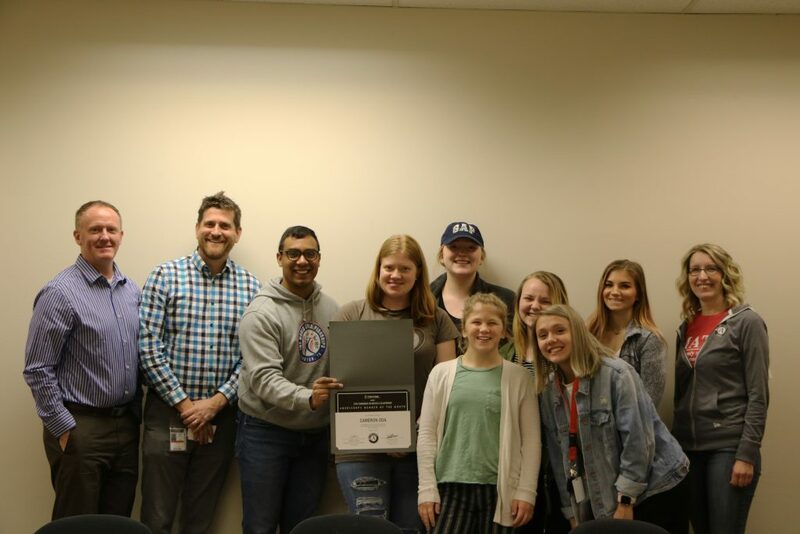 Each month, one AmeriCorps member in Utah is recognized for their commitment to the pledge they took to “Get Things Done.” Cam is currently serving with the Boys and Girls Clubs of Weber-Davis in Ogden. The Boys and Girls Clubs of Weber-Davis (BGCWD) provides additional support to students who are at risk of dropping out of school due to chronic absenteeism and students who are not achieving mastery levels on SAGE (state-wide testing) assessments. AmeriCorps members support these students by mentoring them both during the school day and after school at the club. Learn more about AmeriCorps programs in Utah here! Cam’s team, congratulating him on his award! Not pictured – Cam Oda! Thank you for your service, Cam! And congratulations on being the AmeriCorps Member of the Month!